When you plan for your family’s future, you want to be confident that your wishes will be carried out and that no questions will be left unanswered. Dave Dembert, principal and lead attorney in Jacob & Dembert, P.A.’s estate planning and administration practice, can guide you through the process of drafting or modifying your will, revocable trust, powers of attorney, advance directives and creation of lifetime trusts, advising you on wealth preservation, estate, gift and income tax planning, charitable planning techniques, choosing fiduciaries, and preparing Federal and State estate, gift and fiduciary income tax returns. A will expresses your wishes for your family and your property following your death. No matter what stage of life you are in, a will has significant implications. Without a will, state law will determine how your probate property is distributed, who cares for your children and who handles your estate. Regardless of whether you have a will, the form of ownership of your property and who you designate as beneficiary of certain assets may control who receives such property upon your death. Revocable trusts have become more popular in recent years. They afford you the opportunity to avoid probate, if that is desirable, provide for a smooth transition in management of your assets upon incapacity or death, maintain privacy and avoid the need for estate administration in jurisdictions other than your domicile if you own real property in such other states. The estate planning attorneys at Jacobs & Dembert, P.A. can advise you on all aspects of lifetime and testamentary documents, including the tax, legal and personal choices and their ramifications, and advise you with respect to structuring your beneficiary designations, so that your objectives are carried out. In addition to initial drafting, we can also update your documents as changes in finances, marital status, dependents, beneficiaries and pertinent federal and state tax laws occur. Transferring your wealth to your designated beneficiaries is a complex process with complex regulations and tax provisions. We can analyze your estate and develop a plan to transfer your assets while minimizing the overall estate and gift, income and inheritance taxes for your family. Dave Dembert has assisted personal representatives and trustees with respect to all aspects of estate and trust administration for over thirty years. His tax, business and real estate background enhances such representation, allowing all such issues to be properly addressed in the course of an estate or trust administration, so as to provide such fiduciaries with a comprehensive representation. 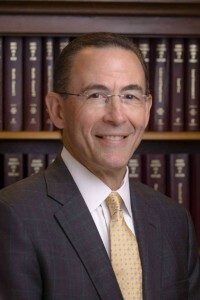 Dave Dembert began his career in the Tax Department of a “Big 8” accounting firm, is also a Certified Public Accountant (inactive), and has extensive experience in the preparation of Federal and Maryland estate tax returns, Federal gift tax returns and Federal and state individual and fiduciary income tax returns. A comprehensive understanding of the tax compliance aspects enhances the overall estate and trust planning and administration services of Jacobs & Dembert, P.A., and reflects an integrated approach for the benefit of you and your family. In many situations, your accountant may be well qualified to prepare such returns, in which case we will coordinate with your accountant in a manner designed to provide the most efficient and best result for you and your family.